Did you love the feeling of flying in our wind tunnel? Why not turn it into a passion! Become a Proflyer in following our three step program to become a Proflyer and become part of our Frequent Flyer community capable of defying the laws of gravity in only a few steps. The feeling of being unattached, to not weigh more than a feather, to be the master of your own body and to explore all the dimensions around you… Free fall, in a windtunnel or in the sky is an extreme sport where you can obtain the best feelings that exist. 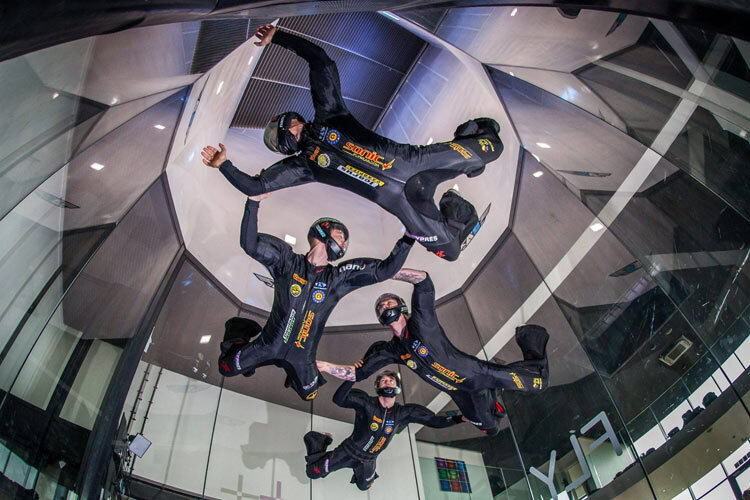 If you have already flown in our windtunnel, there is a possibility that you have become addicted. 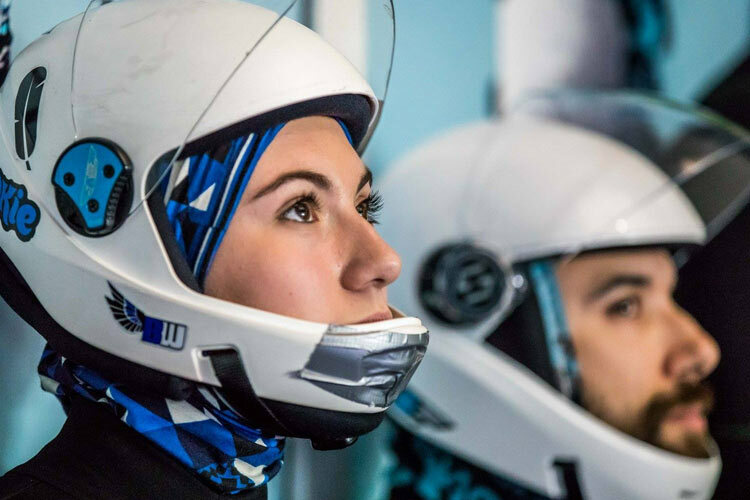 More than a passion, Indoor Skydiving is a real sport that one can practice regularly. Beginner or experienced skydiver wanting to use the windtunnel as a training tool or simply hooked on free fall wanting to progress. How to become a Proflyer? Ready to become a Proflyer? In 15 minutes, learn to fly on your belly and move around in the air. Learn to fly forwards and backwards, up and down and how to make turns. Enough to give you the basics to advance to the next level. You only need a half hour to be on your way to flying on your back! It is also a very important step to learn the safety rules to respect in free fall. This level will allow you to achieve the incredible feeling of flying with another person! Create small routines and learn how to fly at different speeds with another person. Have you understood? You do not need months of training to become a Proflyer. One simple hour is enough. Book your flight sessions now!